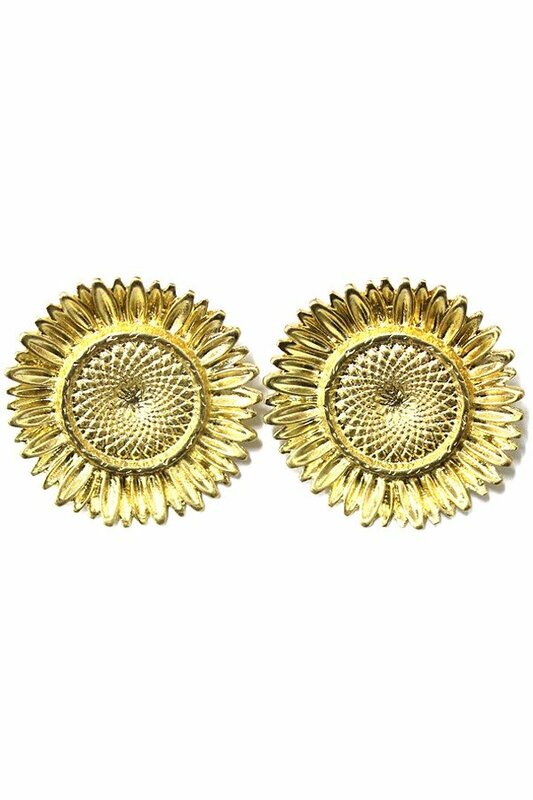 Description: Sunflower statement earrings with etched details. Approx. 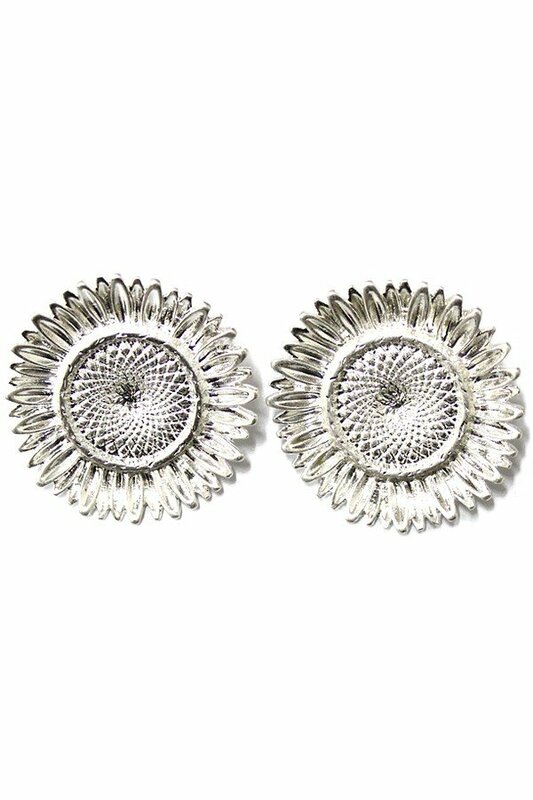 diameter 2.5".